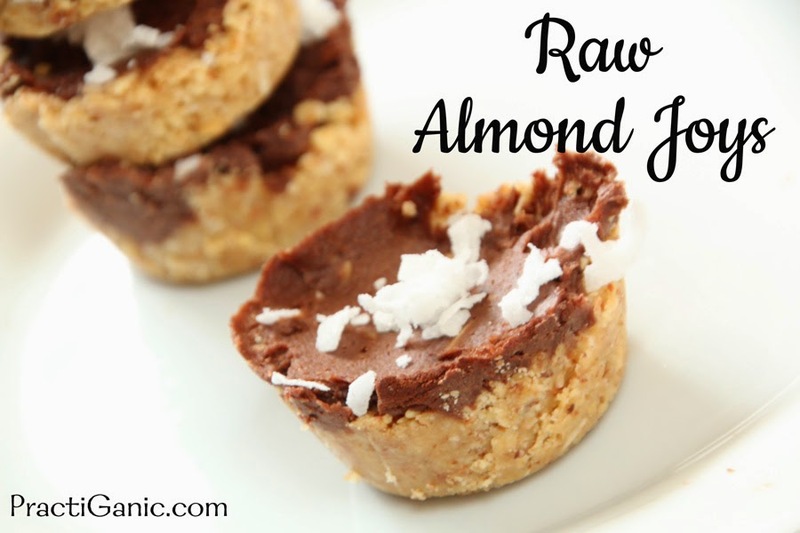 Raw desserts have been a favorite of ours ever since we visited a friend in Hawaii and were introduced to raw chocolate made with fresh avocados. 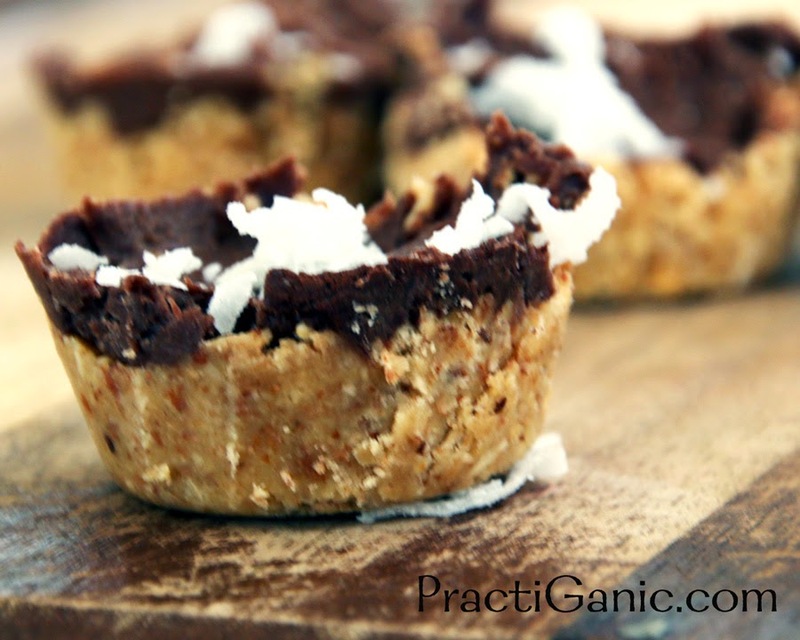 I do not have a huge sweet tooth but raw chocolate is on a totally different level. Right after breakfast I begin to think about what's for lunch and then what's for dinner (Paul makes fun of me a lot for that). Our friend from Hawaii was coming over for dinner so I started thinking about raw chocolate ... time for brownies. My heart sank a little when I realized that we ate the last avocado for dinner last night. Figuring coconut oil would give me some of the creaminess of an avocado, I went to work. Embracing the coconut oil even more, I decided to try to replicate an Almond Joy instead of just doing coconut brownies. All I know is Paul better get home quick before the kids and I eat them all! In your food processor, mix almonds and oats until they are powdered. Add the remaining base ingredients. 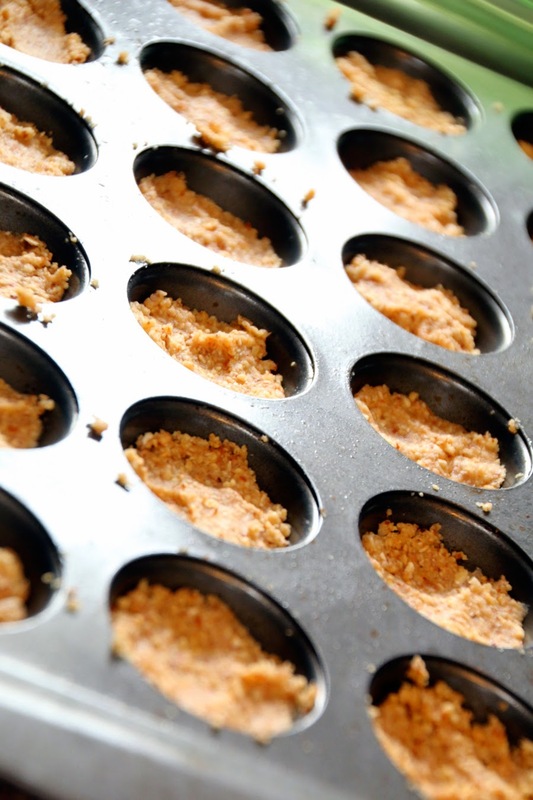 Press them into your muffin cups. Next put the frosting ingredients into the food processor and smooth. 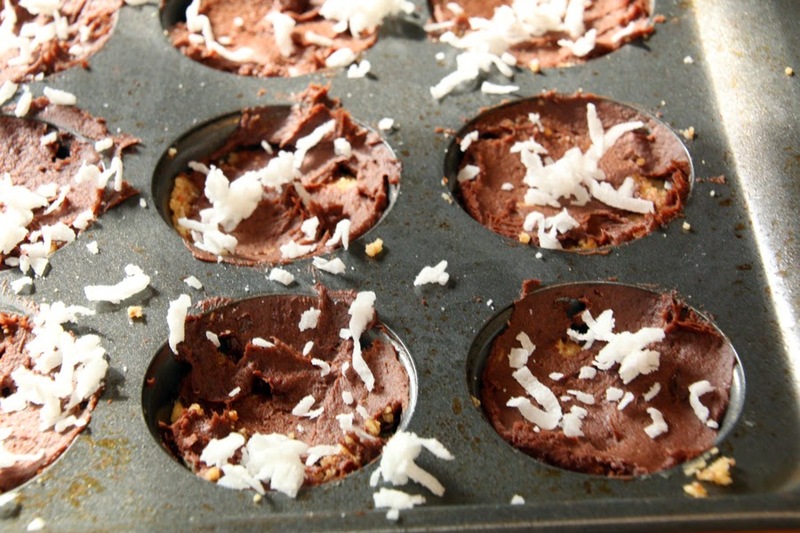 Frost the muffin cups and top with a little extra coconut. I let them set at least an hour before serving and keep them refrigerated so the frosting doesn't melt too much.